A chunk of rock which fell to Earth and was discovered in the deserts of Egypt may hold the key to our understanding of how the solar system was formed. The Hypatia stone, named for the first Western woman mathematician and astronomer, contains minerals unlike anything seen before in our solar system. 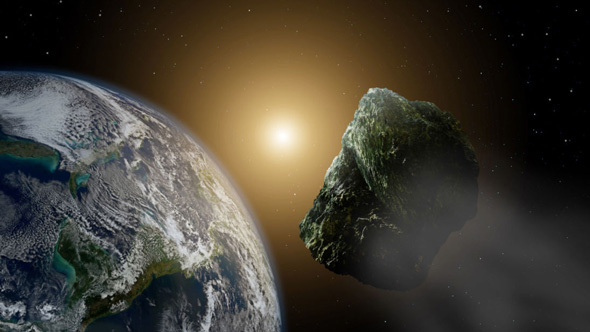 Experts say the extraterrestrial object may have formed at a time when the universe was still taking shape and may predate the sun and its surrounding planets. It contains micro-mineral compounds not found elsewhere in our region of space, or in known meteorites and comets, and has the potential to rewrite the history books. The discovery was made by researchers from the University of Johannesburg (UJ), who used advanced scanning techniques to analyse Hypatia's structure. The original rock that fell to Earth must have been at least several metres in diameter, they say, but disintegrated into small fragments of which the Hypatia stone is one. The stone itself is also broken into smaller sections, which are described by the researchers as pebbles, around one centimetre (0.4 inches) in size or smaller. Members of the team immediately noticed that the structure of the hunk of minerals, discovered in southwest Egypt in 1996, looked nothing like that of any known meteorites discovered on the planet. 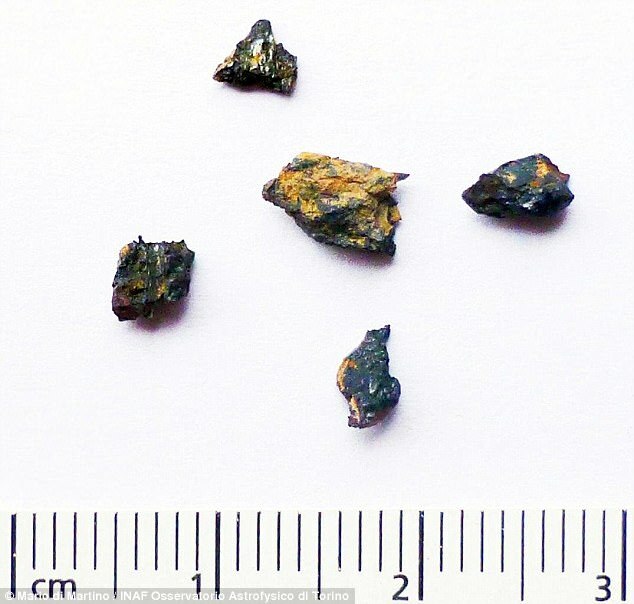 The ratios of chemicals present in the fragment was distinct from anything else previously studied. Their investigation led to two possible explanations. The first suggests that Hypatia is a surviving fragment of a meteor that existed before our solar system was formed, only to be captured by Earth's gravity millions of years later. The second is that the meteor chunk formed from the same cosmic dust cloud as the solar system. 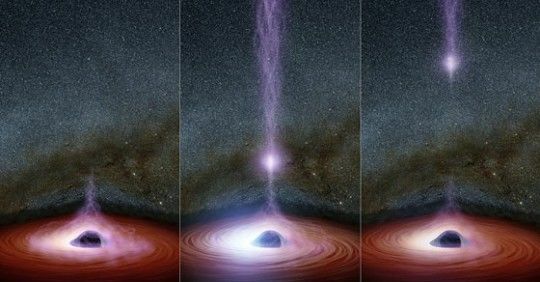 If the latter is true, this would call into question our current model of how this process occurred, which posits a nebula of equally dispersed elements that went on to form the celestial bodies found in our corner of the cosmos. Dr Marco Andreoli, a research fellow at the school of geosciences at the University of the Witwatersrand, and a member of the Hypatia research team said: 'When Hypatia was first found to be extraterrestrial, it was a sensation, but these latest results are opening up even bigger questions about its origins. Hypatia of Alexandria was a leading light in mathematics and astronomy in the fourth century AD, and was killed for her futuristic ideas by religious zealots. 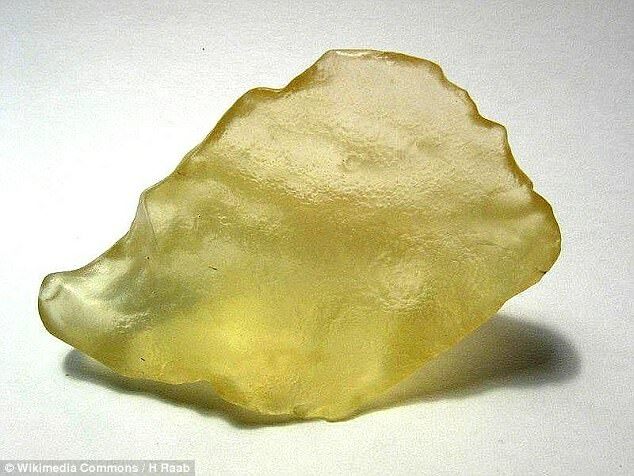 The stone which bears her name was discovered in December 1996 by Egyptian geologist Aly Barakat Barakat, who was researching Libyan Desert Glass. The substance appears to be similar to sea glass that forms in Earth's oceans, and can be found strewn across the eastern Sahara, in the deserts of eastern Libya and western Egypt. Geologists believe it may have formed 28 million years ago by a meteorite impact. Dr Barakat immediately recognised the unique significance of the glossy stone, which is lined with microscopic diamonds. 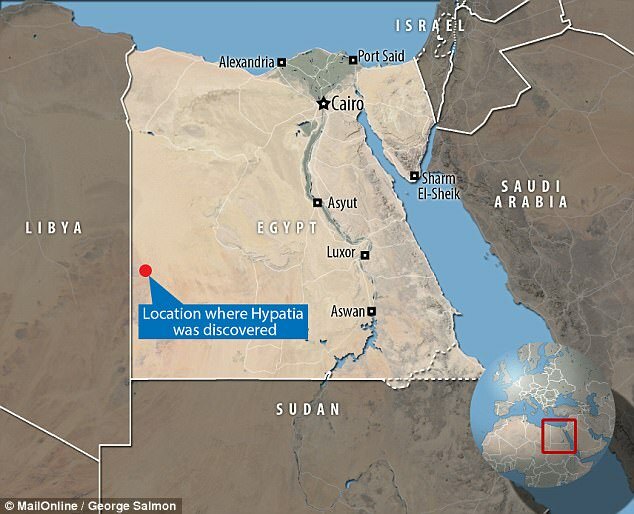 In 2013, Professor Jan Kramers of the UJ research team and his co-authors announced that Hypatia was definitely not from Earth. By 2015, other research teams had announced that the stone was not part of any known types of meteorite or comet, based on noble gas and nuclear probe analyses. In the latest study, Professor Kramers and colleagues used a range of high-tech scans to probe the stone's interior. They compare the rock's internal structure to a fruit cake that has fallen off a shelf and into some flour and cracked. The mineral matrix that makes up most of the rock is represented by the cake dough, while mineral grains embedded in it are like glace cherries and nuts. The flour is the secondary materials that Hypatia stone picked up when it hit the planet. Their study revealed that, while the chemical elements, carbon and silicon and aluminium and iron, that make up Hypatia are the same, the ratios are all wrong. The full results of the study were published in the journal Geochimica et Cosmochimica Acta. 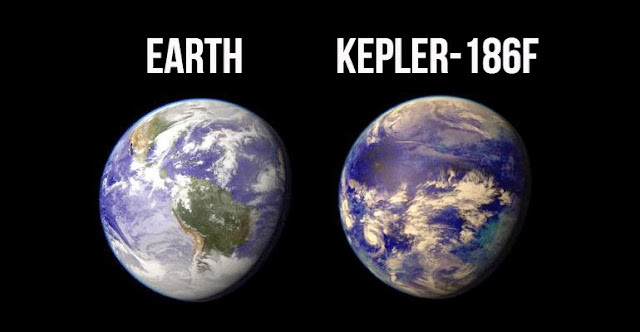 This is a very amazing discovery. It not only gives some answers but at the same time it raises a lot of new question. This article was initially published on Dailymail. You can read the article here.